Dubai: A new mega project is set to rise in Dubai and it will be located close to the iconic Burj Al Arab. Dubai Holding unveiled the details of its latest real estate venture, the Burj Jumeira, on Thursday after it was inaugurated by His Highness Shaikh Mohammad Bin Rashid Al Maktoum, Vice-President and Prime Minister of the UAE and Ruler of Dubai. It will be located in the Al Sufouh district, which is also home to popular landmarks, such as the Madinat Jumeirah, Dubai Knowledge Village and Dubai Internet City, and its first phase is scheduled for completion in 2023. According to the state-backed property developer, the skyscraper will be the centrepiece of a wider development called Downtown Jumeira. 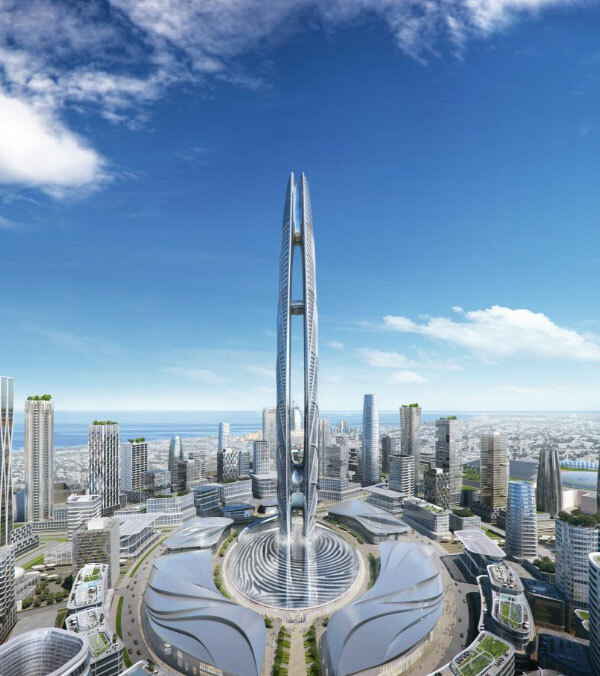 During the launch of the project, the Dubai ruler described the tower and Downtown Jumeira as a continuation of Dubai’s vision for becoming a city of the future, distinguished by its intelligent design and cohesive infrastructure network. Accompanied by Shaikh Mansour bin Mohammad bin Rashid Al Maktoum, chairman of the Dubai International Marine Club, and Abdulla Al Habbai, chairman of Dubai Holding, the Dubai ruler also reviewed the plans for the tower and Downtown Jumeira, and left his fingerprint on the project. Quite reminiscent of the Downtown Burj Khalifa area that hosts the world's tallest tower as the centrepiece, Downtown Jumeira is being dubbed as the emirate's next "pedestrian-friendly mixed-use urban destination". According to a statement, the Downtown Jumeira project will considerably enhance the surrounding areas by creating a comprehensive and vibrant community that will cater to the various lifestyles of its residents. Its centerpiece, the Burj Jumeira, will become a new focal point and landmark for Dubai, drawing in both residents and tourists alike. 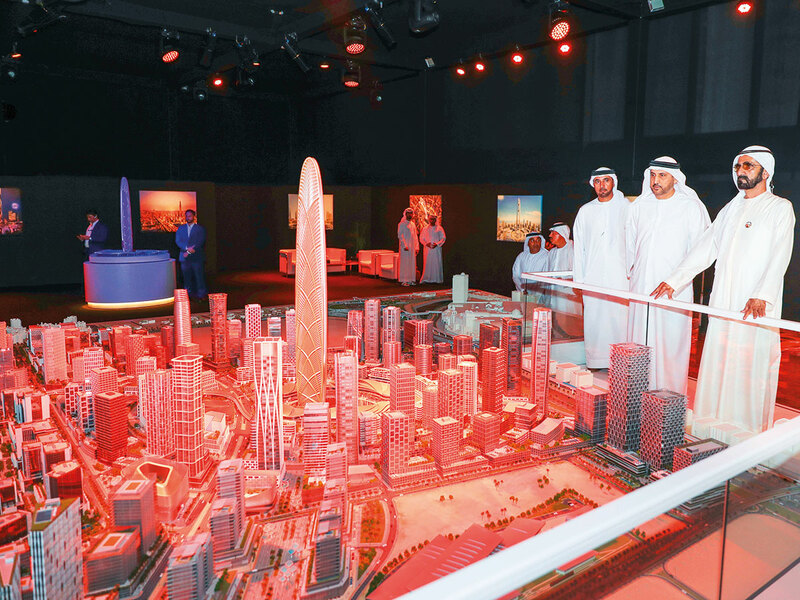 Al Habbai said the launch of Burj Jumeira in the presence of Shaikh Mohammad is a confirmation of the critical role the development plays in Dubai’s vision for the future. Work on the project will start immediately, with the first phase scheduled to be delivered three years after Dubai’s hosting of the World Expo 2020. “Upon completion, it will be home to both residential and commercial towers and hotels, as well as unique F&B (food and beverage concepts),” the real estate firm said on its official Twitter account. 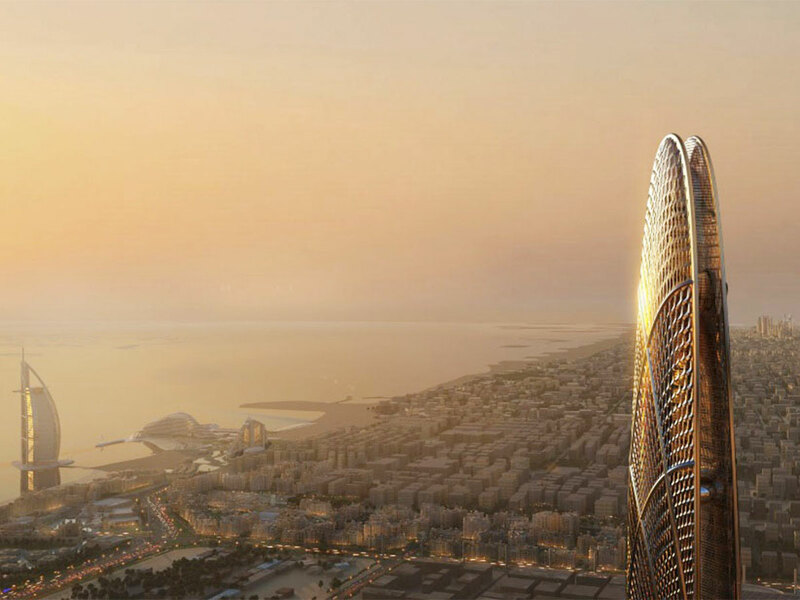 The main tower’s design is inspired by the harmonious ripples of the country’s desert sand dunes, as well as its flowing oases. “The façade will be covered with digital displays that can be utilized for various occasions and celebrations,” Dubai Holding said. The centerpiece will stand 550 metres tall and will have multiple observation decks, to offer 360-degree views of Dubai’s landscape. The Burj Jumeira’s summit is the crown, which can host a variety of different events. It will have a sky lounge and interconnected sky-restaurant. The base of the tower is designed in the outline of Shaikh Mohammad’s fingerprint, and is planned to accommodate various social, cultural and artistic events and activities. It will also feature water fountains, a terraced outdoor amphitheater, and is designed to host interactive lighting and fireworks displays. The base will be surrounded with retail outlets. The development will feature both residential and commercial towers and hotels, as well as food and beverage concepts, including world-class restaurants. It will have a covered pathway connecting the nearby Sharf DG Metro Station to Burj Jumeira, and all the way through the entire development to Burj Al Arab in Jumeirah. There will be neighbourhood parks, large open spaces and shaded streets.